With all the difficulty Kamaru Usman has had in finding a suitable opponent, it was jokingly suggested to him that there is always golf to be played in Florida. Usman laughed, recalling what sport his father tried to steer him towards when the future welterweight contender was a teenager. The Florida Marlins sure could use a power hitter in the lineup, but it looks like we’re going to keep Mr. Usman in MMA for the time being, as he finally found a willing dance partner in Demian Maia for Saturday’s UFC Fight Night main event in Chile. In many ways, it’s an even better scenario for Usman, who was originally scheduled to face the No. 10-ranked Santiago Ponzinibbio before an injury forced the Argentina native from the bout and brought in the No. 5-ranked Maia. But to get from Point A to Point B wasn’t the easiest time for the 31-year-old, who felt from the time that Ponzinibbio signed on the dotted line that things weren’t going to work out as planned. “There was something about it, I could just feel it,” he said, even though the two went on a media tour and were seemingly all set to throw down in Santiago this weekend. Immediately, Usman played matchmaker and didn’t like what he saw. In other words, it’s the old scenario of trying to get a job but employers want someone with experience. So how do you get experience without getting the job? It wasn’t something Usman was equipped to deal with from a competitive standpoint, because with his background in wrestling, you fought the next guy in the bracket, no questions asked. If you didn’t you were out of the tournament. It frustrated him to no end. “I’m not a guy who just loves fighting or this is the only thing in this world that I can do, that I have no other skills,” he said. “That’s not the case. This is something that I do because I got into competing in high school, and once I started to get into the one on one, mano a mano sports, it was something that burned deep inside me and pushed me to where I wake up and I’m thinking about how I can get better to compete in this sport. That’s a passion that continues to burn. Things didn’t get better for Usman when he got matched up with Norwegian prospect Emil Meek in January. 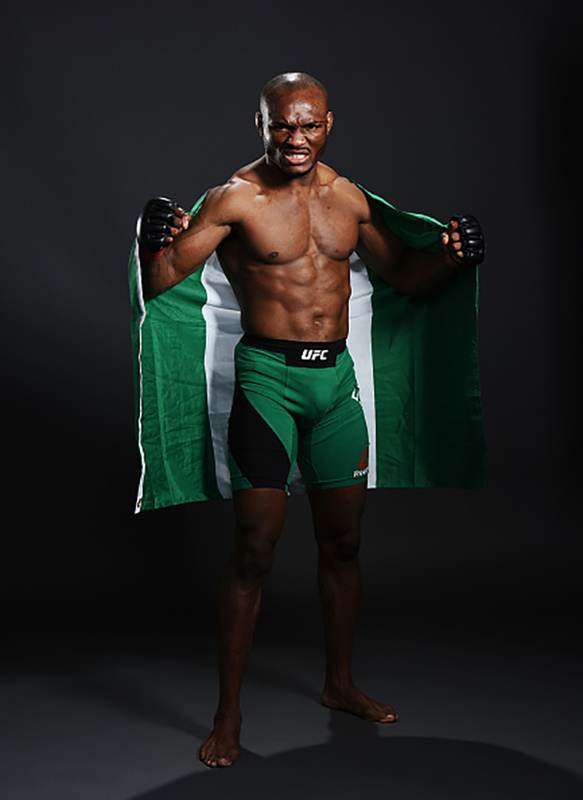 Meek was more than willing and able to challenge the Nigeria native, but when Usman won a dominant three-round unanimous decision, his revelation that he fought on “30 percent” due to injury garnered some backlash. And if anything, it made more of his peers shy away from fighting him. So how does it feel to be the most feared guy in the welterweight division? “I can be feared, but if I’m not getting fights, I’m not making money,” he said, admitting that it’s tough having to rehash this theme over and over as opposed to simply being able to talk about his next fight. And if he wins 30-27 decisions on 30% health, there won’t be a line at the door waiting for him, but that’s just a pessimistic New Yorker talking. On the other side of this interview, Usman describes himself as an optimist, and he has good reason to be one these days. He’s got a respected, top five opponent fighting him on Saturday, and with a win, the rest of the top ten won’t be able to avoid him much longer. And that’s all he wants - a chance. What’s wrong with that?